Gas & Electric Two Deck Oven With Proofer Manufacturer & Supplier in India, Gas & Electric Two Deck Oven With Proofer in India. We are able to supply and export best in the industry Deck Oven and Proofer in India. 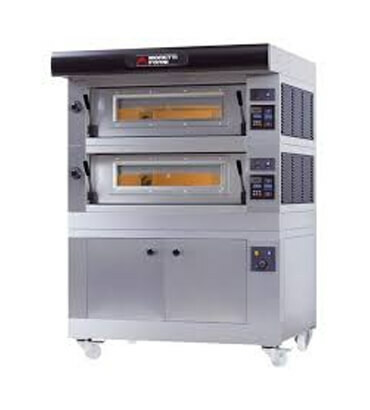 These deck oven and proofers are able to provide excellent even heating with its durable design and easy to control temperature for baking and proofing requirements. Our deck oven and proofers are very sturdy and easy to use which offer great baking experience for tasty baked breads and pastries. These deck oven and proofers have two decks that are very spacious and durable for long lasting use.